Abstract: The urbanization worldwide is bringing a variety of challenges to any city and in particular, to the telecommunications networks. In order to manage the complexity of the urban smart environment of tomorrow, the understanding of human behavior has to become part integrant of networking system/protocol/service design. This brings the idea of a more personalized networking. Networking (protocols, systems, services) had for years being impersonalize from the point of view of “who and how” are the users, and centered on the needs of networking actors (operators, providers, or protocols). Thus, networks have been usually designed to adapt to network conditions (e.g., physical link conditions, topology changes) and are protocol or service specific (e.g., successful delivery of messages, geographical network coverage). Hence, they were very often oblivious to users behavior and current needs. This is now over. Human beings behind a smart device or a vehicle (electric and/or smart) can no more be ignored since their behavior impacts the way they use the network resources and services. Thus, the future of networking systems lies on the better understanding of the way human behaves: The social norms and structure dictating their behavior will influence the way they interact with network services and demand resources. 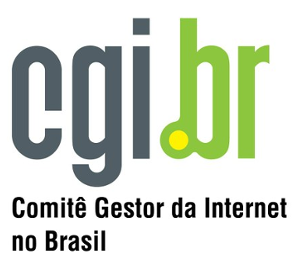 In this talk, I will present my works on this direction and on how the “human behavior” have been leveraged in a variety of networking solutions. 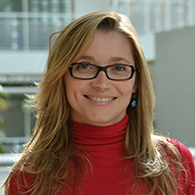 Short bio: Aline Carneiro Viana is a CR1 at Inria and head of the INFINE research team of INRIA Saclay – Ile de France. She received her habilitation from Université Pierre et Marie Curie, Paris, France in 2011. From November 2009 to October 2010, Dr. Viana was in a sabbatical leave at the Telecommunication Networks Group (TKN) of the Technischen Universität Berlin (TU-Berlin), Germany. Dr. Viana got her PhD in Computer Science from the University Pierre et Marie Curie -Paris VI in 2005. After having hold a postdoctoral position at IRISA/INRIA Rennes – Bretagne Atlantique in the PARIS research team, she obtained a permanent position at INRIA Saclay – Ile de France, in 2006. Dr. Viana’s research addresses the design of solutions for self-organizing and dynamic networks with the focus on opportunistic networking, data offloading techniques, mobile social networking, and smart cities. She has published more than 90 research papers and was the scientific coordinator of two international research projects (EU CHIST-ERA and STIC AmSud). She has chaired several IEEE/ACM workshops, participated of the organizing committee of numerous conferences (including IEEE SECON, IEEE MASS, ACM MOBICOM), and served on the technical program committee of several international conferences and workshops including IEEE SECON, ACM CoNEXT, IEEE PIMRC, IEEE MASS, and IEEE LCN. Aline has also served for three consecutive years as reviewer for the European Commission and is Associate Editor of ACM Computer Communication Review (ACM CCR).